Morton’s neuroma is a painful foot condition that occurs when a nerve, usually between the third and fourth toes, expands and becomes compressed. Shoes, particularly high heels or shoes with tight toe boxes, and walking often make the pain worse. In some cases, patients with Morton’s neuroma find short-term pain relief when they do not put weight on the affected foot. Pronation of the foot can cause the metatarsal heads to rotate slightly and pinch the nerve running between the metatarsal heads. This chronic pinching can make the nerve sheath enlarge. As it enlarges it than becomes more squeezed and increasingly troublesome. 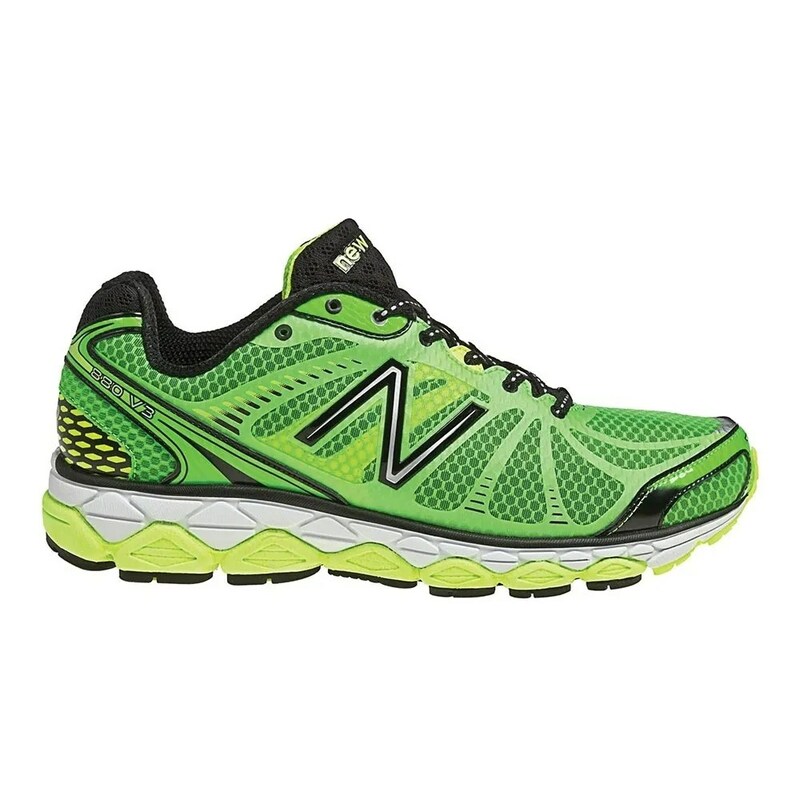 Tight shoes, shoes with little room for the forefoot, pointy toeboxes can all make this problem more painful. Walking barefoot may also be painful, since the foot may be functioning in an over-pronated position. The symptoms of Morton?s Neuroma tend to come and go over time. They are typically exacerbated by physical activity or by wearing certain shoes. Morton?s Neuroma symptoms include sharp pain in the ball of the foot, pain radiating to the tips of the toes, burning pain in the second, third, or fourth toes, numbness in the toes, sensation of a lump between the toes. Negative signs include no obvious deformities, erythema, signs of inflammation, or limitation of movement. Direct pressure between the metatarsal heads will replicate the symptoms, as will compression of the forefoot between the finger and thumb so as to compress the transverse arch of the foot. This is referred to as Mulder?s Sign. There are other causes of pain in the forefoot. Too often all forefoot pain is categorized as neuroma. Other conditions to consider are capsulitis, which is an inflammation of ligaments that surrounds two bones, at the level of the joint. In this case, it would be the ligaments that attach the phalanx (bone of the toe) to the metatarsal bone. Inflammation from this condition will put pressure on an otherwise healthy nerve and give neuroma-type symptoms. Additionally, an intermetatarsal bursitis between the third and fourth metatarsal bones will also give neuroma-type symptoms because it too puts pressure on the nerve. Freiberg’s disease, which is an osteochondritis of the metatarsal head, causes pain on weight bearing or compression. The first step in treating Morton’s Neuroma is to select proper footwear. Footwear with a high and wide toe box (toe area) is ideal for treating and relieving the pain. The next step in treatment is to use an orthotic designed with a metatarsal pad. This pad is located behind the ball-of-the-foot to unload pressure, and relieve the pain caused by the neuroma. If problem persists, consult your foot doctor. Bone spurs usually form around joints that have arthritis, in the vertebrae of the spine, and on the heel. When they form on the heel, they may form on the back of the heel but usually form on the bottom of the heel. Of course, this is where all of the body weight comes down with each step. Spurs on the bottom of the heel are usually most painful the first few steps out of bed each morning. The pain may lessen somewhat after walking for a few minutes, but may be intense again after sitting for a half hour or so, such as after lunch. The pain usually gets worse throughout the day as you are up on your feet more. 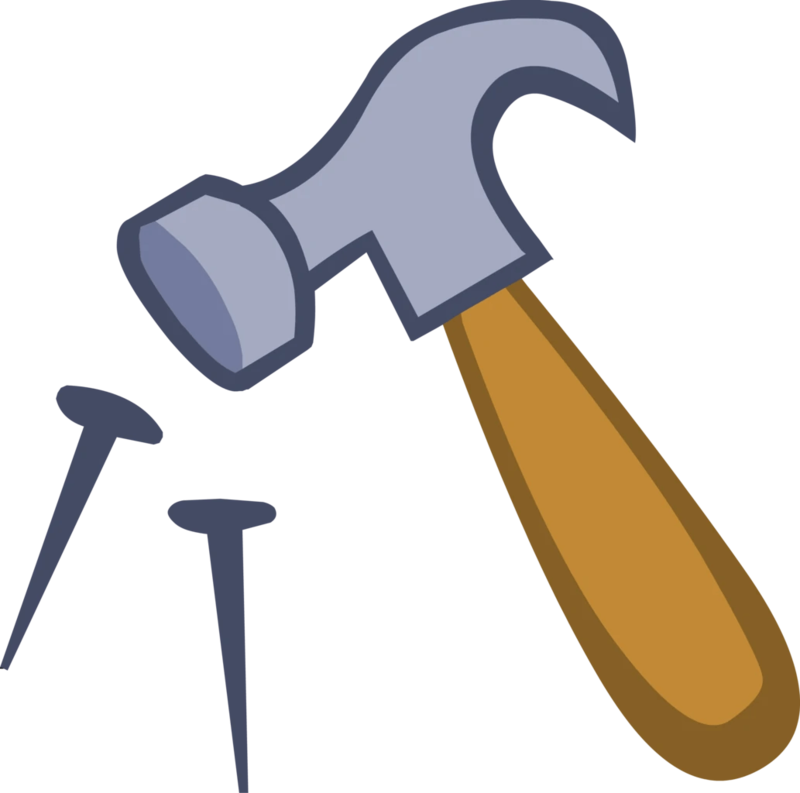 Often the pain feels like a nail being driven through the heel into the ankle and leg. Heel spurs are common in patients who have a history of foot pain caused by plantar fasciitis. In the setting of plantar fasciitis, heel spurs are most often seen in middle-aged men and women, but can be found in all age groups. The heel spur itself is not thought to be the primary cause of pain, rather inflammation and irritation of the plantar fascia is thought to be the primary problem. A heel spur diagnosis is made when an X-ray shows a hook of bone protruding from the bottom of the foot at the point where the plantar fascia is attached to the heel bone. A variety of steps can be taken to avoid heel pain and accompanying afflictions. Wear shoes that fit well-front, back, and sides-and have shock-absorbent soles, rigid shanks, and supportive heel counters. Wear the proper shoes for each activity. Do not wear shoes with excessive wear on heels or soles. Prepare properly before exercising. Warm up and do stretching exercises before and after running. Pace yourself when you participate in athletic activities. Don’t underestimate your body’s need for rest and good nutrition. If obese, lose weight. 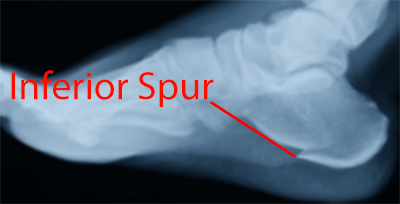 Heel spur is a hook of bone that protrudes from the bottom of the foot where plantar fascia connects to the heel bone. Pain associated with heel spurs is usually pain from plantar fasciitis, not the actual bone. Heel spurs are most often diagnosed when a patient has visited a pain specialist or podiatrist for on-going foot pain related to plantar fasciitis; spurs are diagnosed via X-ray of the foot. Heel spurs are most commonly diagnosed in middle-aged men and women. As noted, most patients with this condition have other podiatry-related pain. This condition is a result of plantar fasciitis (when the fascia, a thick connective tissue that connects the heel bone and ball of the foot) becomes inflamed. Some 70% of plantar fasciitis patients have a bone spur. Bone spurs are soft calcium deposits caused from tension in the plantar fascia. When found on an X-ray, they are used as evidence that a patient is suffering from plantar fasciitis. Plantar fasciitis is typically caused from repetitive stress disorder. Walking, running, and dancing can cause this with time. Causes of Heel Spur Syndrome are mostly due to your foot structure. Foot structure is due to hereditary for the most part, meaning it was the way you were when born. Other factors such as increase in weight, injury, improper shoes, or different activities may change the way your foot functions as well. If one leg is longer or shorter than the other, this may make your foot function improperly and be the cause of the heel spur syndrome. Improper shoes may be ones that are new or ones that are worn out and do not give good support. The higher priced shoes do not mean it’s a better shoe. Pronation is a term used to describe a foot which allows the arch to fall more than normal and allows for the fascia along the bottom of the foot to put a tighter pull or a different angle of pull on the heel bone. Over time, this constant pull of the tight fascia can force the bone to enlarge and form a spur. It is not the heel spur that causes the pain directly. The spur may cause pressure against a nearby nerve causing a neuritis, or a bursa causing a bursitis. Symptoms of heel spur syndrome often include pain early in the morning or after rest, as you take the first few steps. It may also include severe pain after standing or walking long hours, especially on hard cement floors. Usually more pain exist while wearing a very flat soled shoe. A higher heel may actually relieve the pain as an arch is created. The pain is usually sharp, but can also be a dull ache. The pain may only be at the bottom of the heel, or may also travel along the arch of the foot. Walk around before you buy shoes. Before you purchase your shoes, do the following. Re-lace the shoes if you’re trying on athletic shoes. Start at the farthest eyelets and apply even pressure to the laces as you come closer to the tongue of the shoe. Make sure that you can wiggle your toes freely inside of the shoe. Also, make sure that you have at enough space between your tallest toe and the end of the shoe. You should have room equal to about the width of your thumb in the tip of your shoe. Walk around to make sure that the shoe has a firm grip on your heel without sliding up and down. Walk or run a few steps to make sure your shoes are comfortable. Shoes that fit properly require no break-in period. Achilles bursitis is one of those injuries that can really bring down the quality of your life. Anyone, young or old, can suffer from this injury, and if you’re active this condition will keep you from doing the things you love to do. It will even start interrupting any of your normal daily tasks and make living life harder than it really needs to be. Fortunately for you, professional athletes have had access to state of the art treatment therapies for years that allow them to heal more quickly and completely than you or I. This is why athletes that have a serious heel bursitis injury can often get back in the game in a matter of weeks while you could suffer for months or even years (in chronic cases). Pain at the back of the heel, especially when running uphill. Pain may get worse when rising on the toes (standing on tiptoes). Tenderness at the back of heel. Swelling at the back of heel. Specific treatment for bursitis will be determined by your doctor based on your age, overall health, and medical history. Extent of the condition. Your tolerance for specific medications, procedures, or therapies. Expectations for the course of the condition. Your opinion or preference. The treatment of any bursitis depends on whether or not it involves infection. Aseptic bursitis. A noninfectious condition caused by inflammation resulting from local soft-tissue trauma or strain injury. Treatment may include R.I.C.E. Rest, Ice, Compression, and Elevation. Anti-inflammatory and pain medications, such as ibuprofen or aspirin. Aspiration of the bursa fluid for evaluation in the laboratory. Injection of cortisone into the affected area. Rest. Splints. Many disorders can affect the joints in the toes, causing pain and preventing the foot from functioning as it should. A hammertoe occurs when the joint at the end of the toe cannot straighten. Excessive rubbing of the hammer toe against the top of the shoe can lead to pain and the development of a corn. The tip of the toe is often turned down against the shoe causing pressure and discomfort. A toe (usually the second digit, next to the big toe) bent at the middle joint and clenched into hammertoes a painful, clawlike position. As the toe points downward, the middle joint may protrude upward. A toe with an end joint that curls under itself. Painful calluses or corns. Redness or a painful corn on top of the bent joint or at the tip of the affected toe, because of persistent rubbing against shoes Pain in the toes that interferes with walking, jogging, dancing, and other normal activities, possibly leading to gait changes. As you get older, feet get bigger. Get your feet measured every time you buy shoes. Don’t go by shoe sizes. Shoe sizes vary among manufacturers; a shoe is the right size only when it fits comfortably. The ball of your foot should fit into the widest part of the shoe. A shoe should be sturdy such that it only bends in the ball of the foot, exactly where your big toes bend. Any shoe that can be bent anywhere along the sole or twisted side to side is generally too flimsy. If the inner side of your shoes are especially worn, you could be overpronating. Excessive inward roll of the foot after landing, such that the foot continues to roll when it should be pushing off. This twists the foot, shin and knee and can cause pain in all those areas. If you are an overpronator, you’ll find excessive wear on the inner side of your shoes, and they’ll tilt inward if you place them on a flat surface. Knock knees or flat feet contribute to overpronation. Over-pronation is very prominent in people who have flexible, flat feet. The framework of the foot begins to collapse, causing the foot to flatten and adding additional stress to other parts of the foot. Therefore over-pronation can often lead to a case of Plantar Fasciitis, Heel Spurs, Metatarsalgia, Post-tib Tendonitis and/or Bunions. There are many causes of flat feet. Obesity, pregnancy or repetitive pounding on a hard surface can weaken the arch leading to over-pronation. People with flat feet often do not experience discomfort immediately, and some never suffer from any discomfort at all. However, when symptoms develop and become painful, walking becomes awkward and causes increased strain on the feet and calves. Common conditions seen with overpronation include heel pain or plantar fasciitis, achilles tendonopathy, hallus valgus and or bunions, patellofemoral pain syndrome, Iliotibial band pain syndrome, low back pain, shin splints, stress fractures in the foot or lower leg. Flat feet and fallen arches can be treated effectively by wearing an orthotic insert in your shoes. Orthotics can be custom-made and prescribed by your foot specialist (podiatrist), or you can use a so called pre-made foot orthotic. Most people do not require expensive custom-made orthotics to combat excess pronation, unless they have a specific medical foot condition. Footlogics orthotic insoles were developed to correct excess pronation, thereby providing sustainable, long-lasting pain relief to many aches and pains in a natural way. Footlogics Comfort, Casual and Sports are products which promote excellent biomechanical control of the foot. Depending on the severity of your condition, your surgeon may recommend one or more treatment options. Ultimately, however, it’s YOUR decision as to which makes the most sense to you. There are many resources available online and elsewhere for you to research the various options and make an informed decision.